Lets go to the beach, each. Sorry to bombard you with images of beautiful women in beautiful swimwear, but it’s that time of year again. You know, where holidays begin being booked and people start chasing the sun around their gardens to get a tan. Finding the perfect costume or bikini to accompany your sun soaked/sea sprayed leisure is like searching for the perfect man. It has to be JUST right and it will take years of searching, tons of cash and a few dodgy first dates. We all want the perfect beach attire for our shapes and Figleaves makes it sooo easy to find the perfect one for you. For one, you can mix and match bikini tops and bottoms as you please and they’ve also got 15% off customer favourites and this new brand of swimwear called Lepel. Oh, and while I was at it, I found these lovely sunglasses to soak up the sun – provided it should make an appearance this year. You can’t get swimwear without getting a nice pair of shades to go with it. 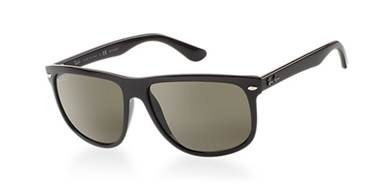 These sunglasses are from Sunglass Hut, its important to wear sunglasses with uv protection during the sunny days to avoid ruining your eye sight and look after the delicate skin under your eyes. Are you on the hunt for the perfect bikini/swimming costume? Or do you already have -the- one? Enter to win a phone case (for any model) on my youtube channel.